Many people know the choreography of Jerome Robbins from Broadway musicals like "Gypsy" and "Fiddler On The Roof" and "West Side Story." KELLY: Robbins also created dozens of dances for the New York City Ballet, which he co-founded. The dance company is devoting most of this month to a festival of Robbins' work. It's part of a celebration marking a hundred years since his birth. Jeff Lunden has more. JEFF LUNDEN, BYLINE: The year was 1943. And two 25-year-olds, Jerome Robbins and Leonard Bernstein, were about to rock the ballet world. LUNDEN: The dance they collaborated on was "Fancy Free" about three sailors in a bar trying to pick up girls before they ship out to World War II. CHRISTINE REDPATH: It was such a wonderful, little, sweet picture of that time - that innocent time. 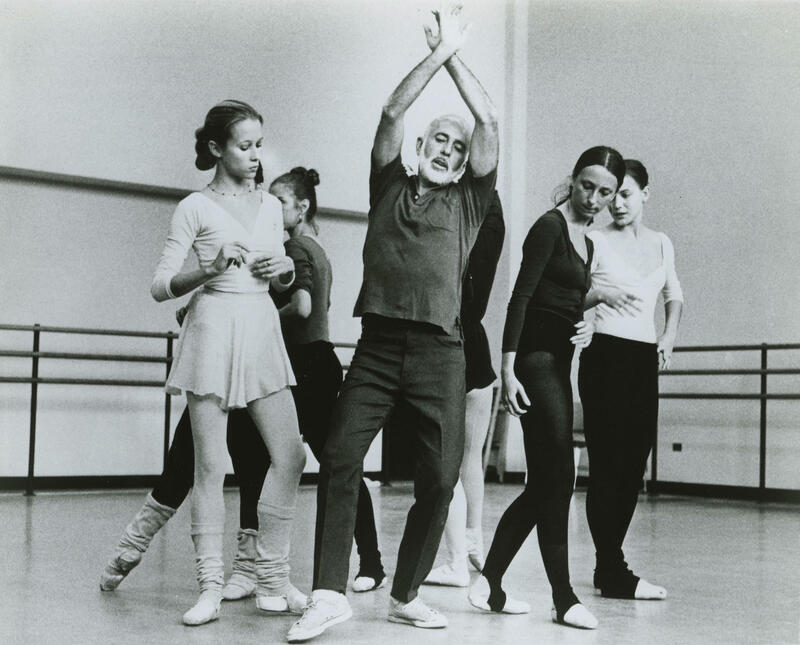 LUNDEN: Christine Redpath is one of four ballet masters Jerome Robbins chose to stage his work. REDPATH: It's playful, and they're just fun and innocent. They don't know what's going to happen when they go off to war. LUNDEN: The ballet was a sensation - contemporary American characters dancing in a way that fused popular dance forms with heightened poetry, just like the music. Leonard Bernstein had already started making a name for himself. But Robbins, born Jerome Rabinowitz in New Jersey, became a star, too. And for the next 55 years, until his death in 1998, he created dances that expanded the vocabulary of modern ballet. Christine Redpath was present at the creation of many of these from the early 1970s onwards and says Robbins could be cruel. REDPATH: Honesty is what he was really after. And he sometimes had to really get down the facades that some people put up. LUNDEN: Redpath is gentler. On a recent afternoon, she was putting two principal dancers, Emilie Gerrity and Chase Finlay, through their paces on sections of "In The Night," a 1970 ballet choreographed to the music of Frederic Chopin. REDPATH: ...So that you should just be coming up into arabesque, and he lifts you up. REDPATH: So we get, like, (gasping) how did that happen? JARED ANGLE: When you're taught a Robbins ballet, they're always very specific. LUNDEN: New York City Ballet principal dancer Jared Angle lists 15 Jerome Robbins ballets in his biography. ANGLE: It's sort of like method acting. Like, they really make you examine who you are, what your character is, where you were born, where you live. LUNDEN: And that kind of character analysis came in handy when Angle danced in "West Side Story Suite." He's been both a Jet and a Shark. LEONARD BERNSTEIN: I could feel him standing behind me, saying, just about, like, four more beats there, another part - no, that's too many. You know, that's too many. That's it. JEROME ROBBINS: Well, it also goes the other way because Lenny would play something, and I'd take off right there in the room he was composing in. I'd say, oh, I can see this kind of movement or that kind of movement. LUNDEN: Robbins could see movement not just in Bernstein's music but Stravinsky, Philip Glass, Chopin. LUNDEN: That's a little music from Robbin's masterpiece "Dances At A Gathering." It was a signature role for retired ballet star Wendy Whelan. She worked with Robbins at the end of his career and says he was painstaking and psychological in his approach, which made her not only a better dancer but a better person. WENDY WHELAN: So you really have to challenge yourself to know yourself better when you're doing his work because that's where the importance is. 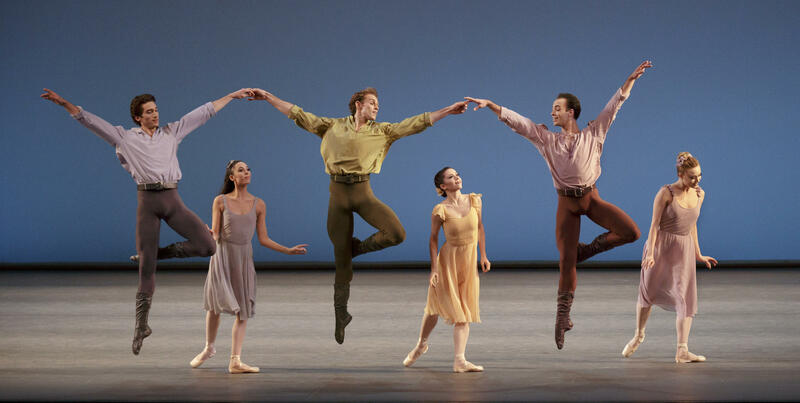 LUNDEN: The Robbins 100 Festival begins at New York City Ballet tonight. And audiences can be challenged and enlightened by 20 of the master's dances over the next three weeks. For NPR News, I'm Jeff Lunden. Transcript provided by NPR, Copyright NPR.